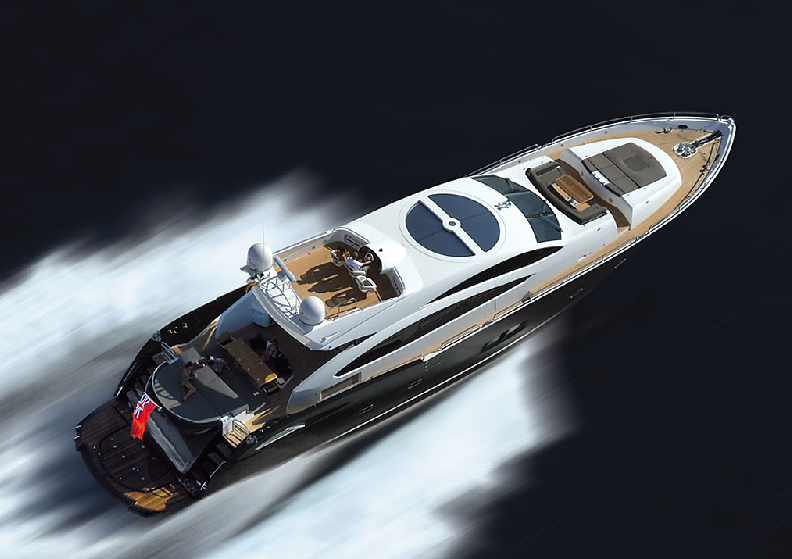 Sunseeker Predator 92 Sport motor yacht is a high performance extrovert craft, at the same time offering the luxury and comfort that is a distinctive feature of all Sunseeker Yachts. 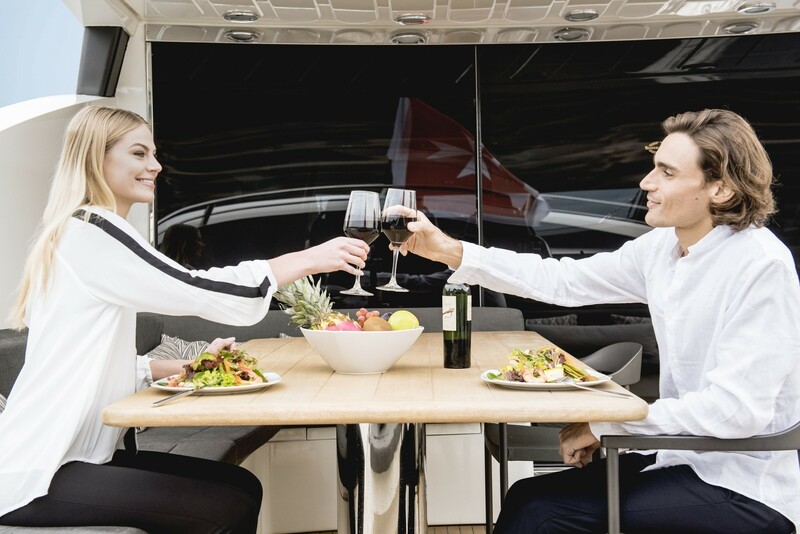 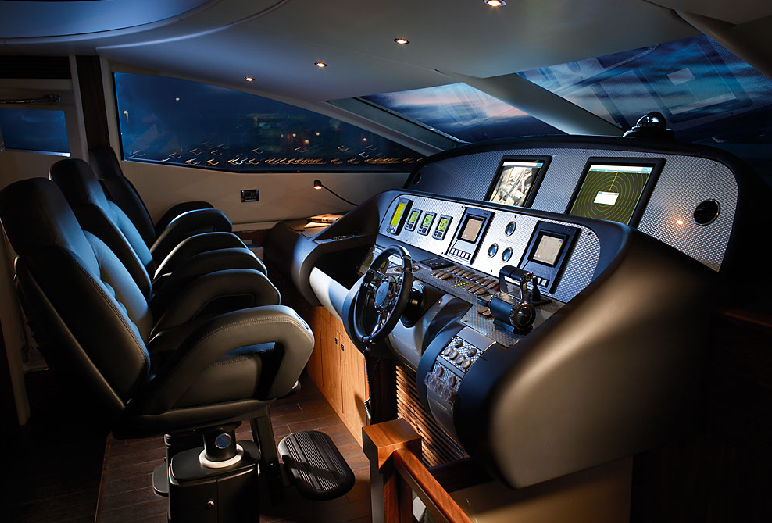 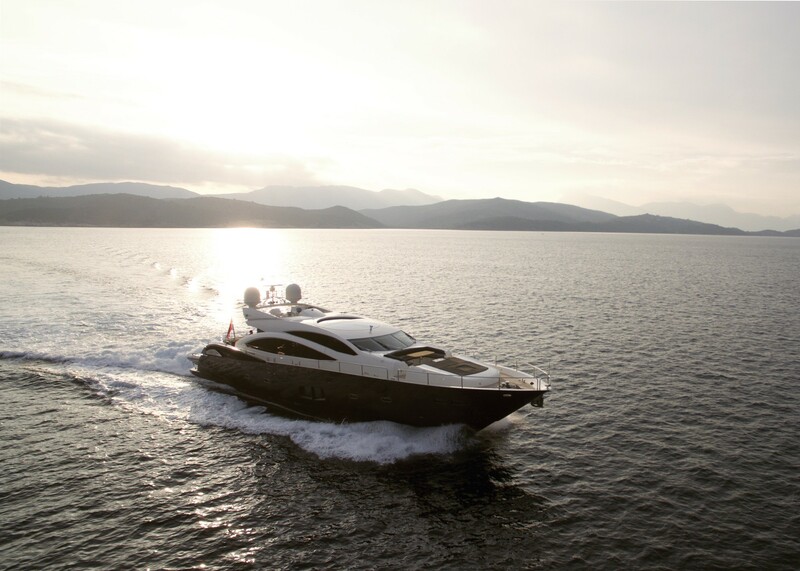 Bringing wind-in-the-air exhilaration, the Sunseeker Predator 92 Sport motor yacht offers the addition of a sleek flybridge as standard, without breaking the series' unique styling. 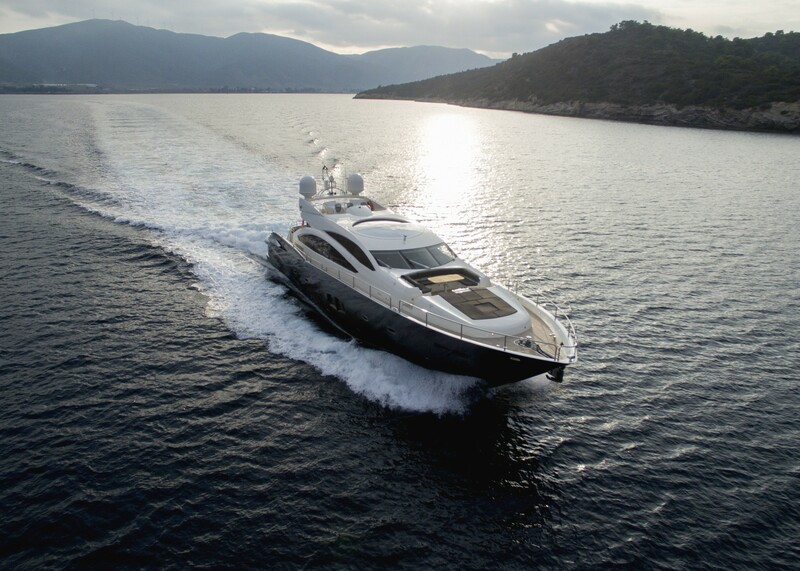 She is capable of speed of up to 45 knots, depending on the engine chosen. 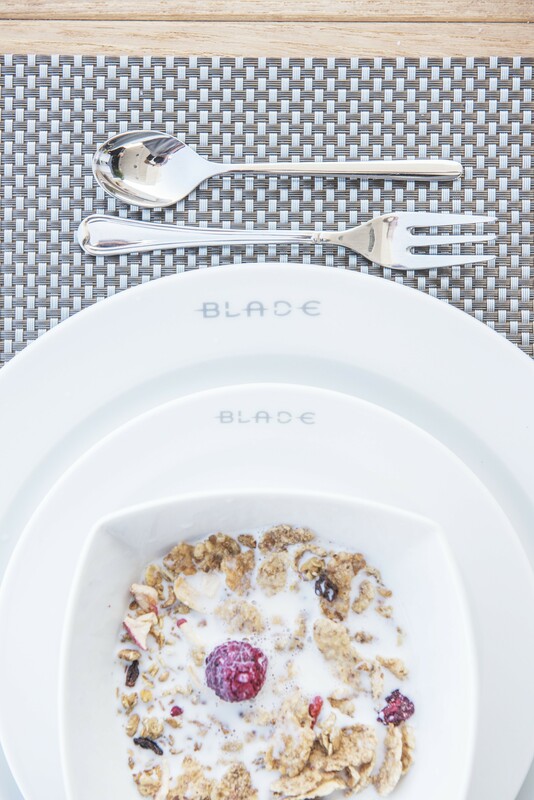 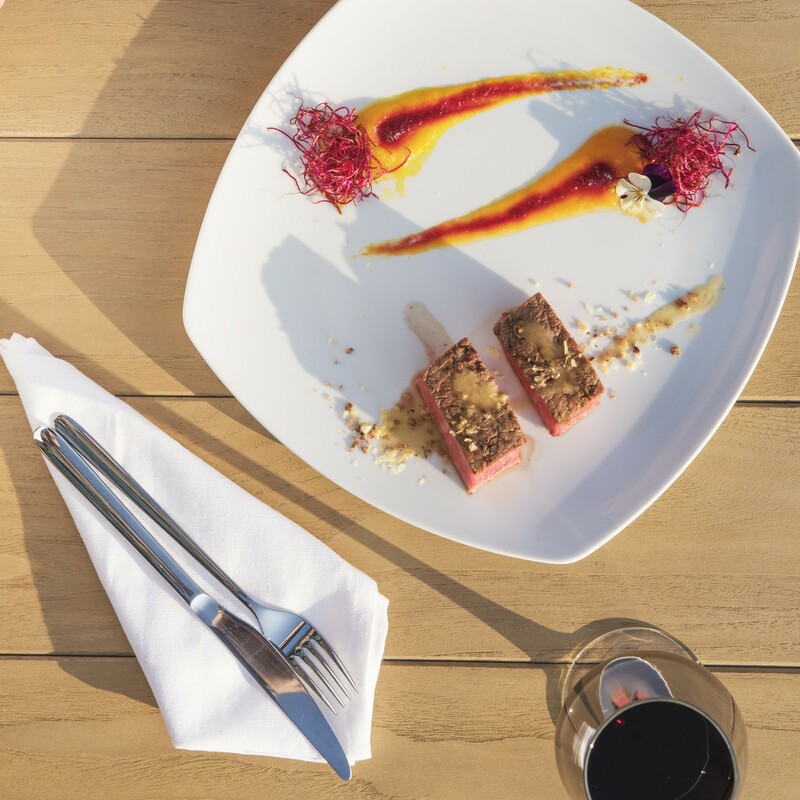 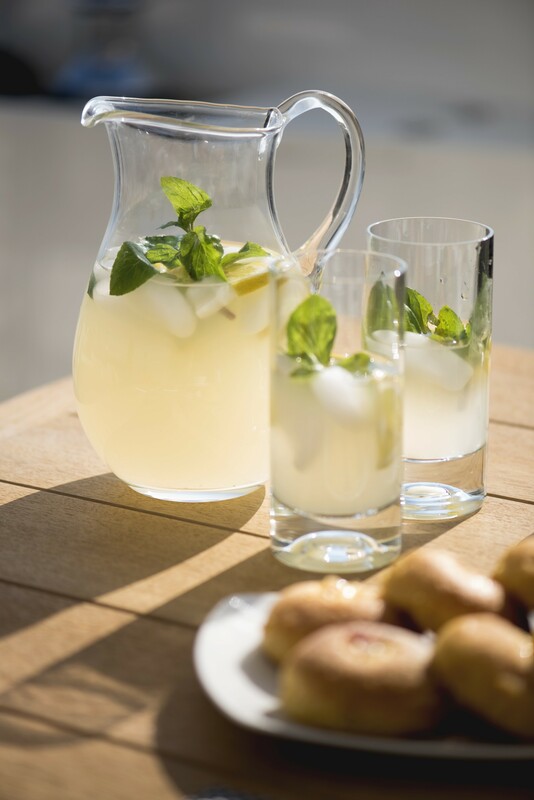 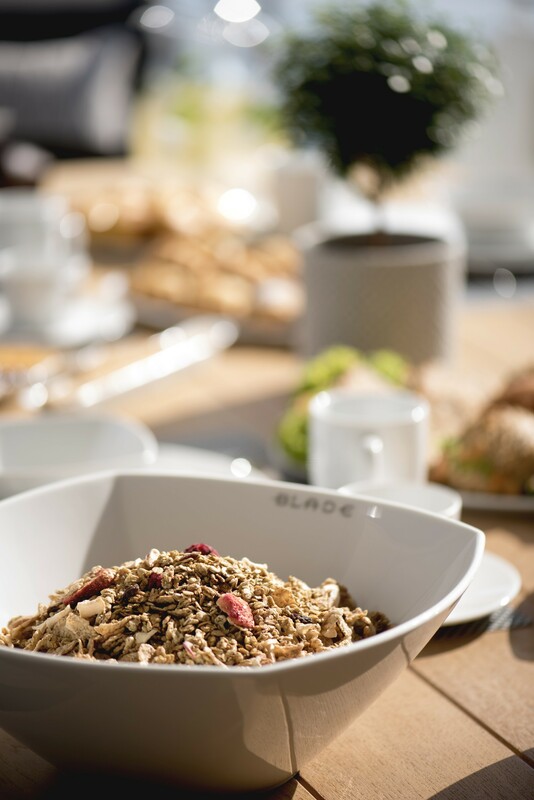 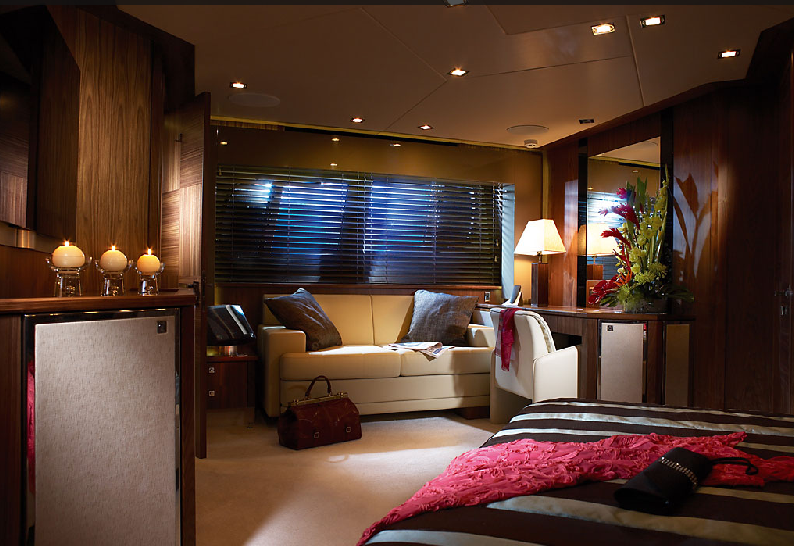 She offers and indulgence of being looked after by a crew of four professionals. 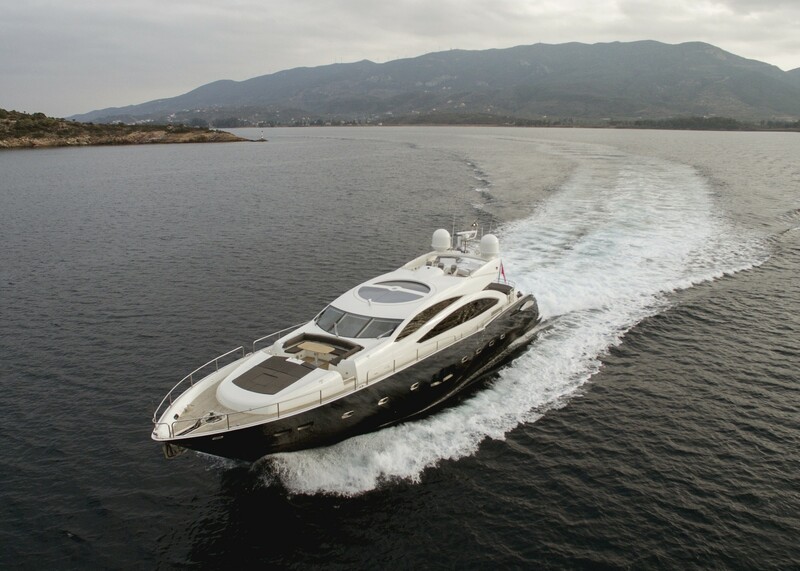 The Sunseeker Predator 92 Sport motor yacht delivers a fascinating performance and incorporates the very latest technology. 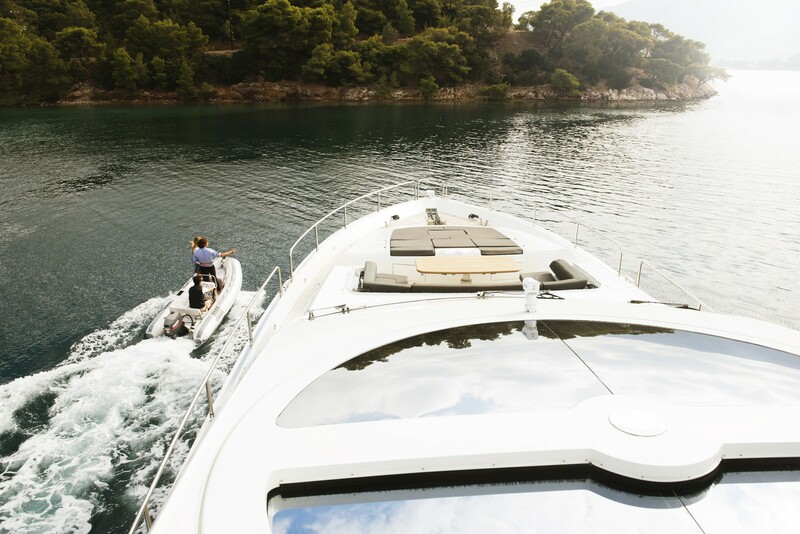 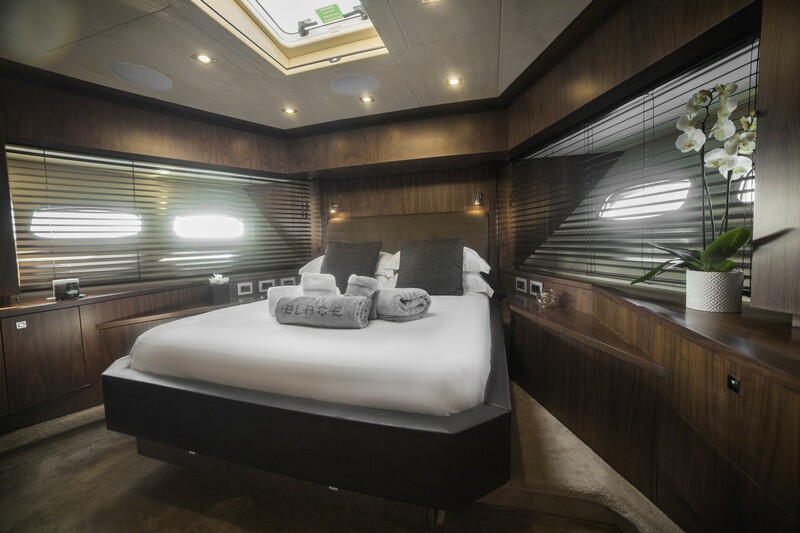 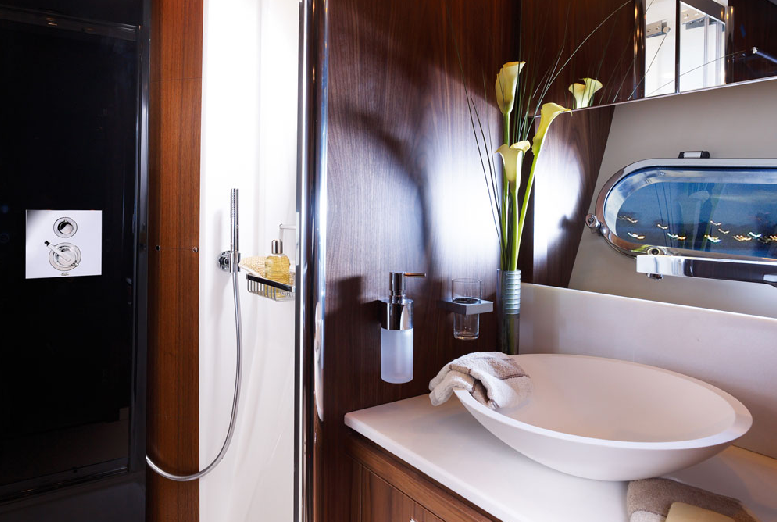 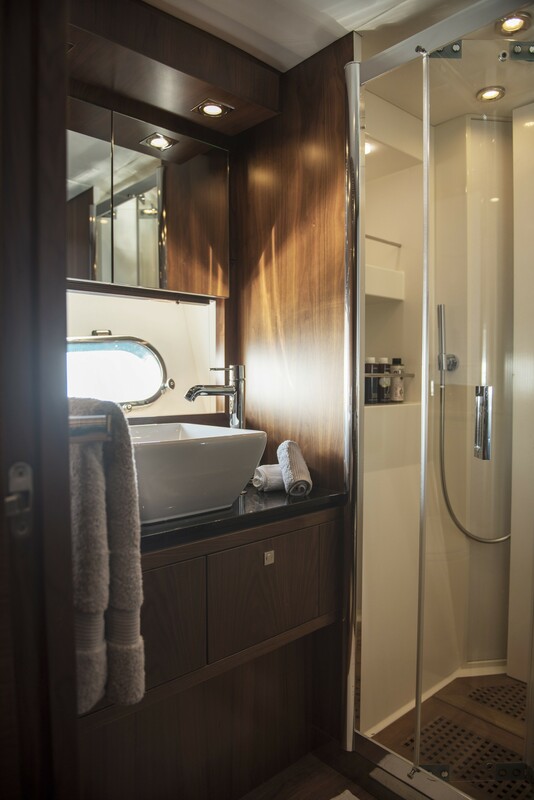 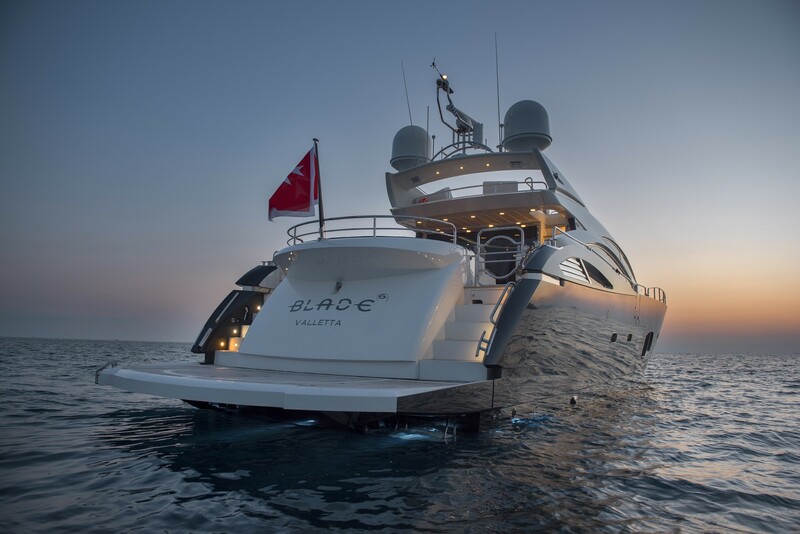 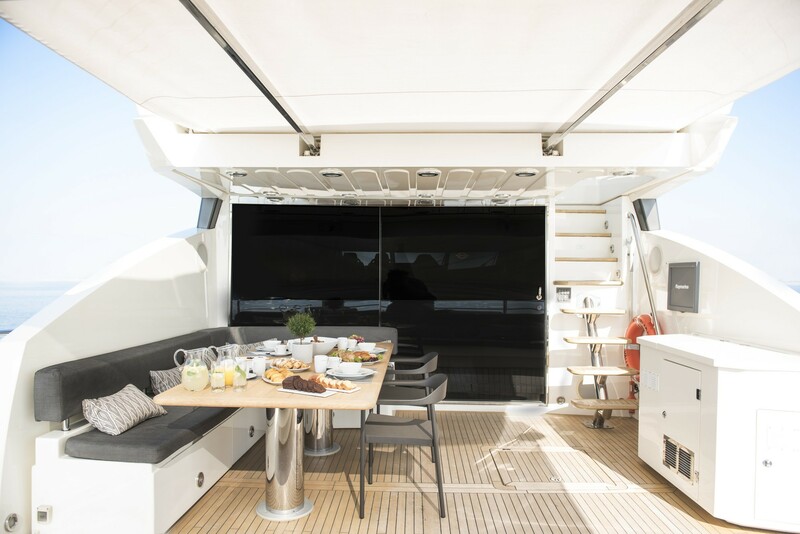 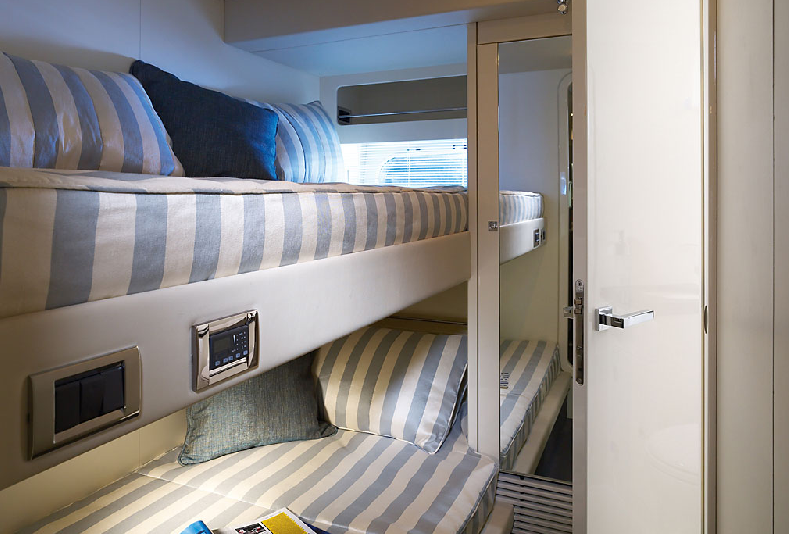 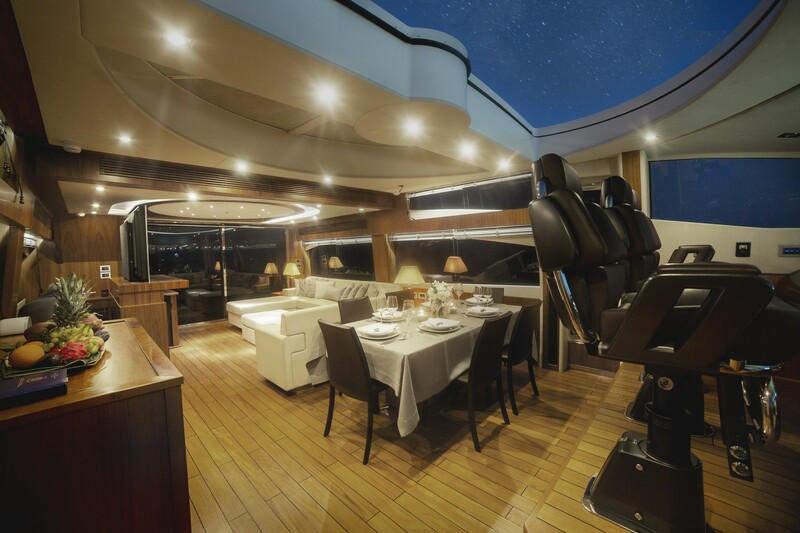 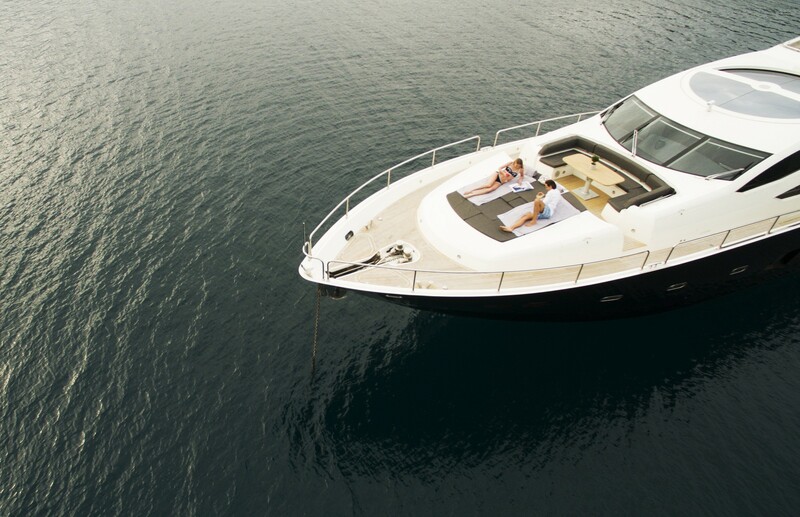 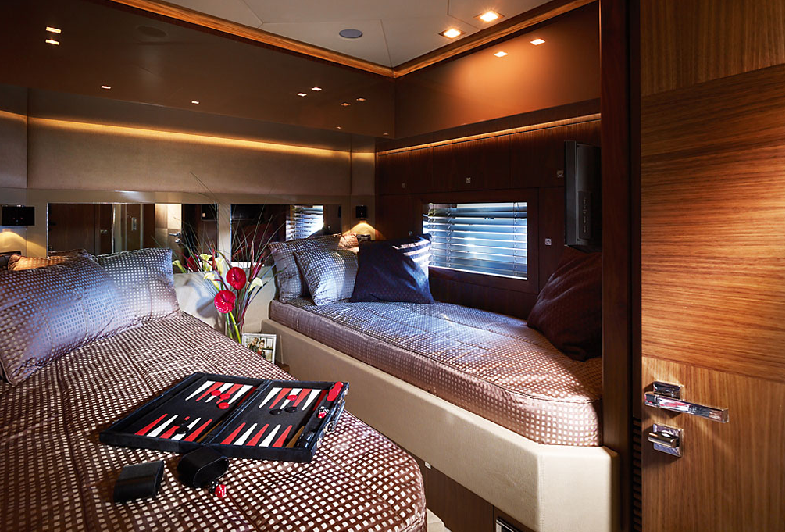 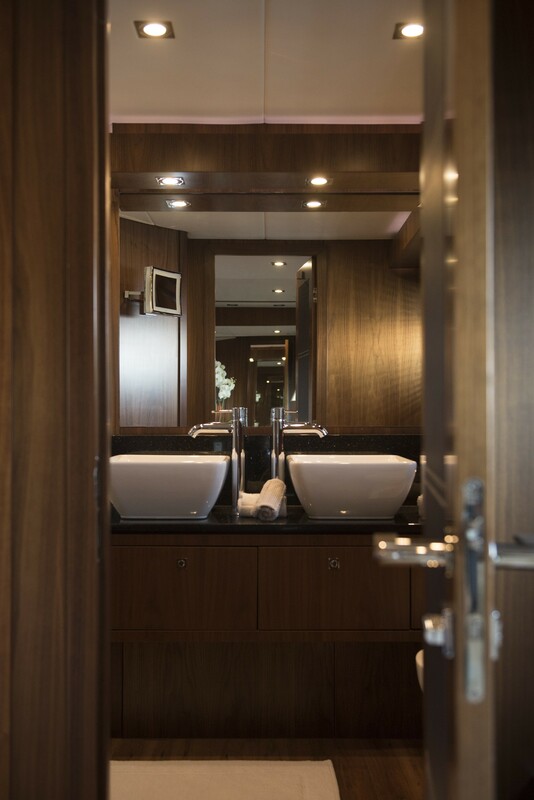 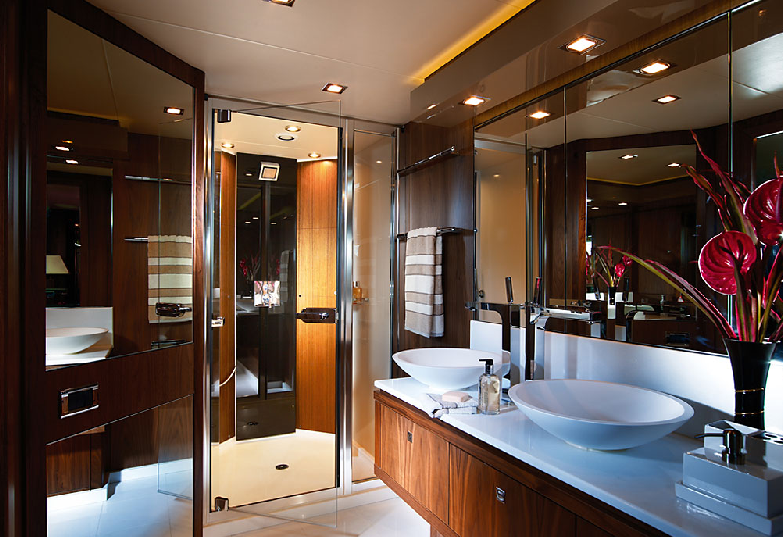 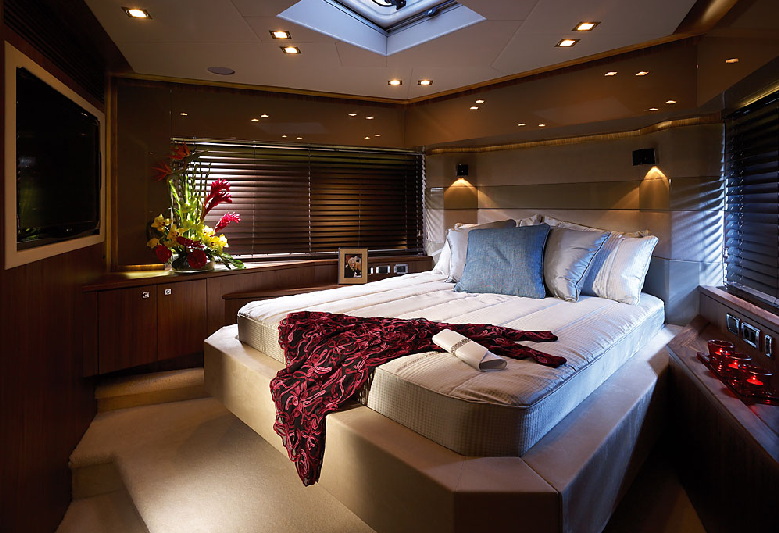 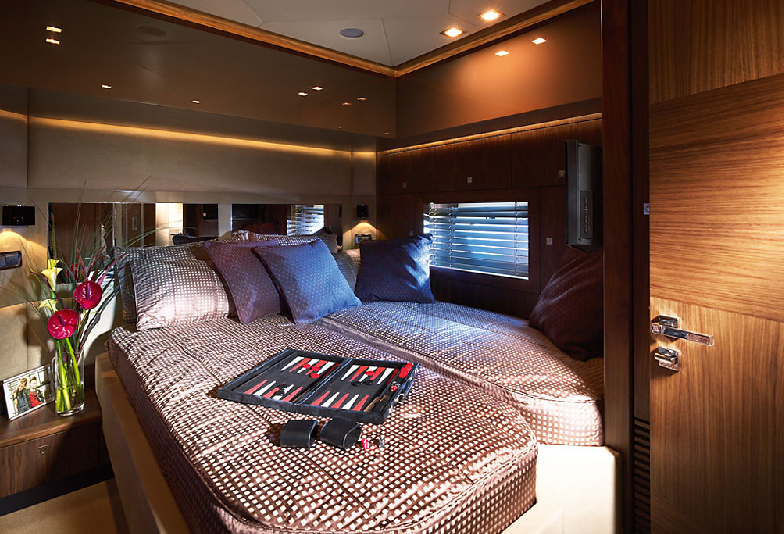 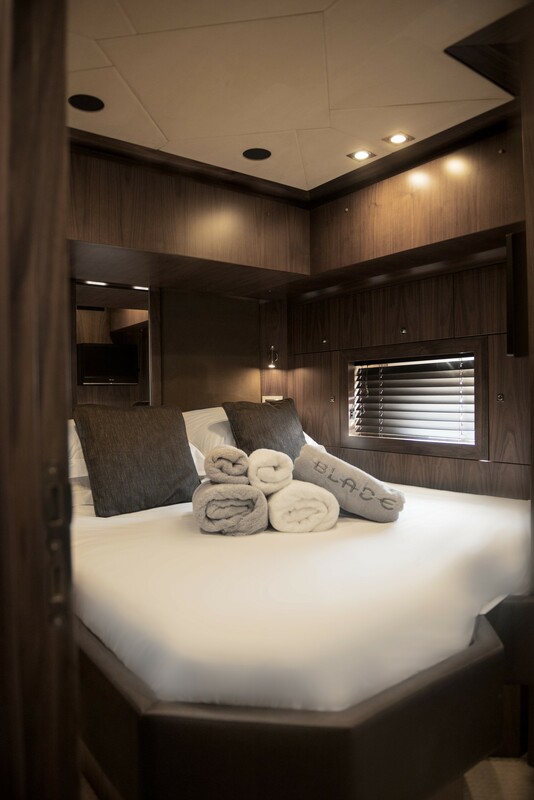 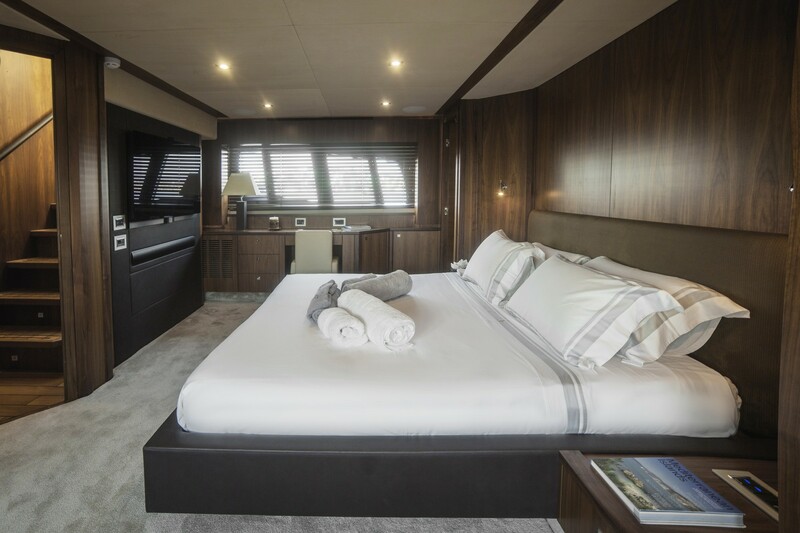 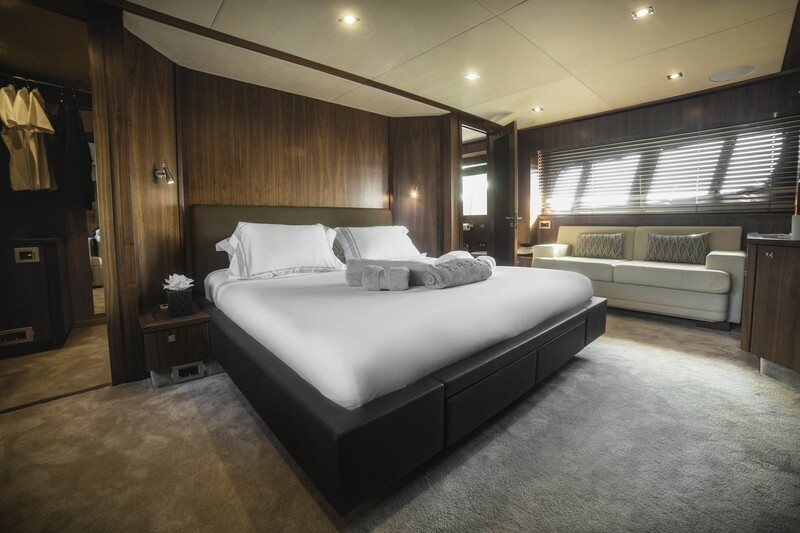 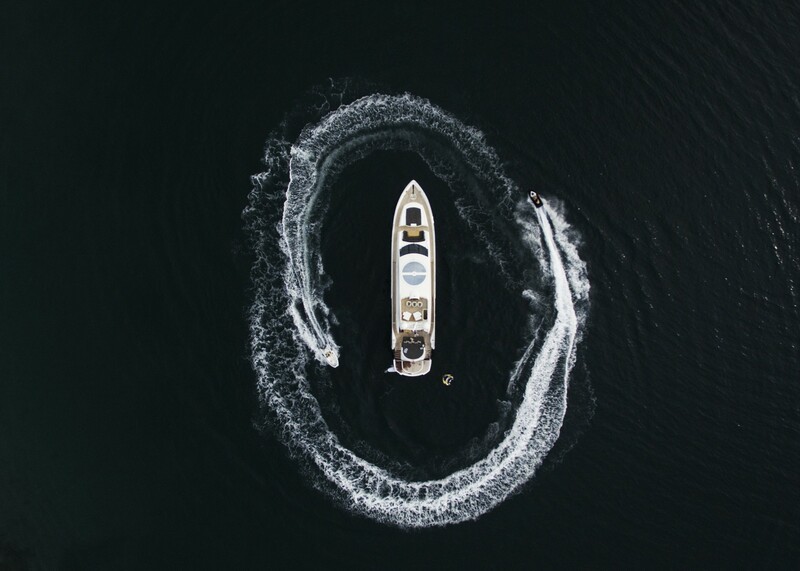 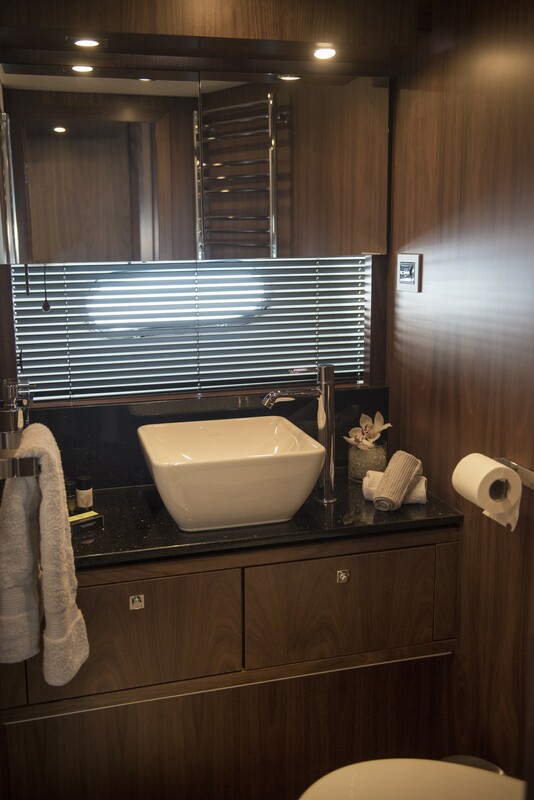 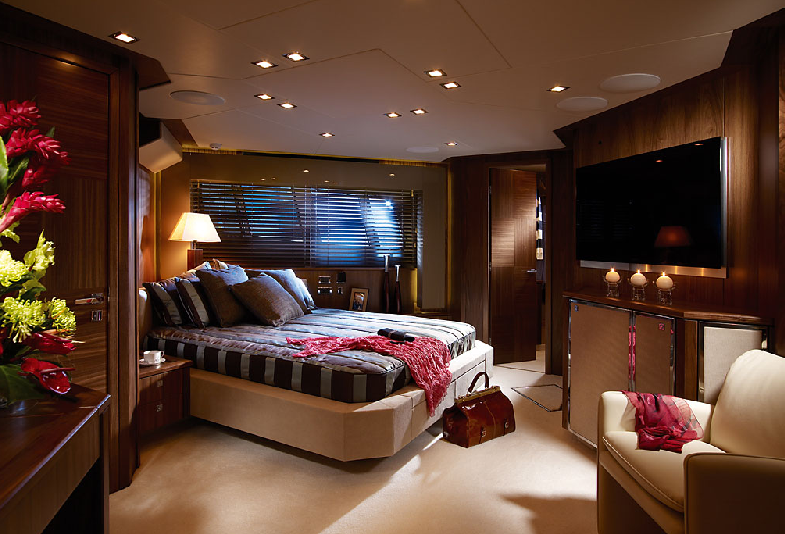 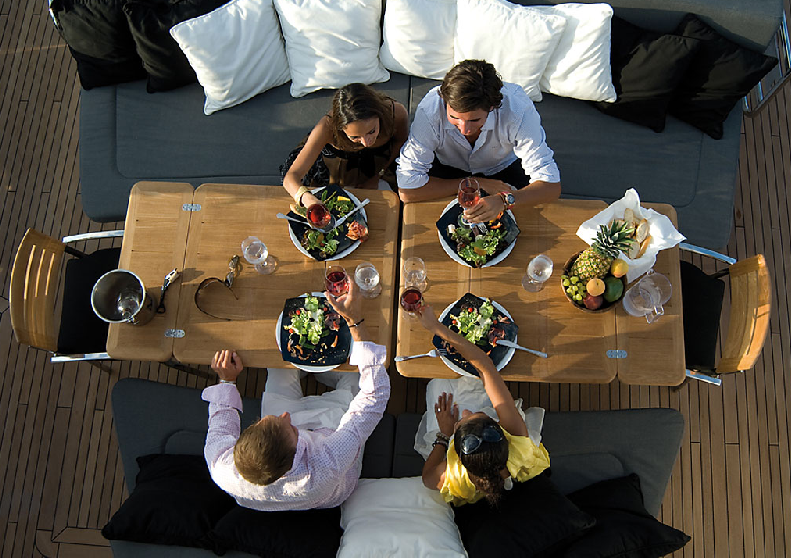 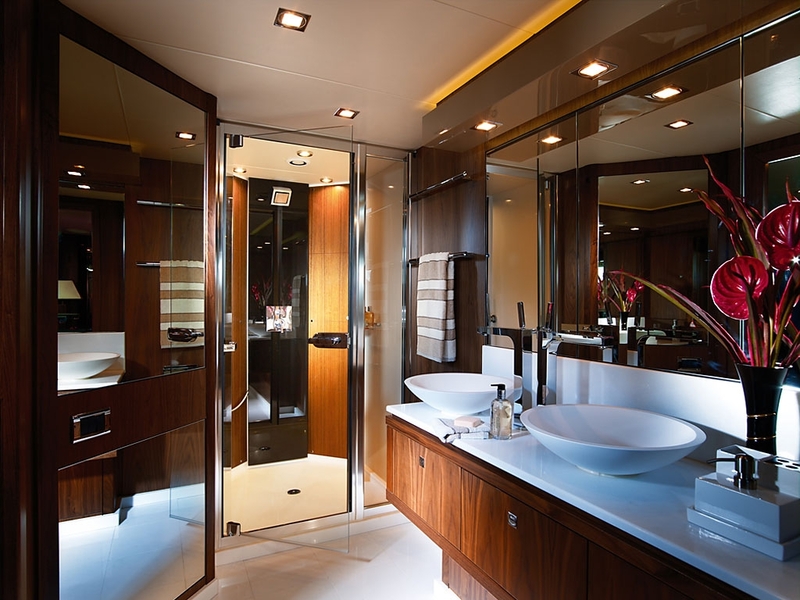 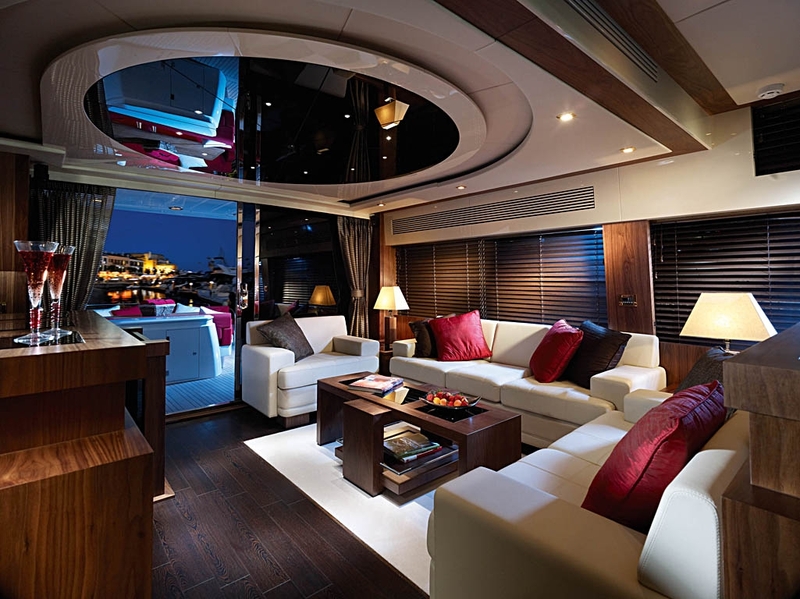 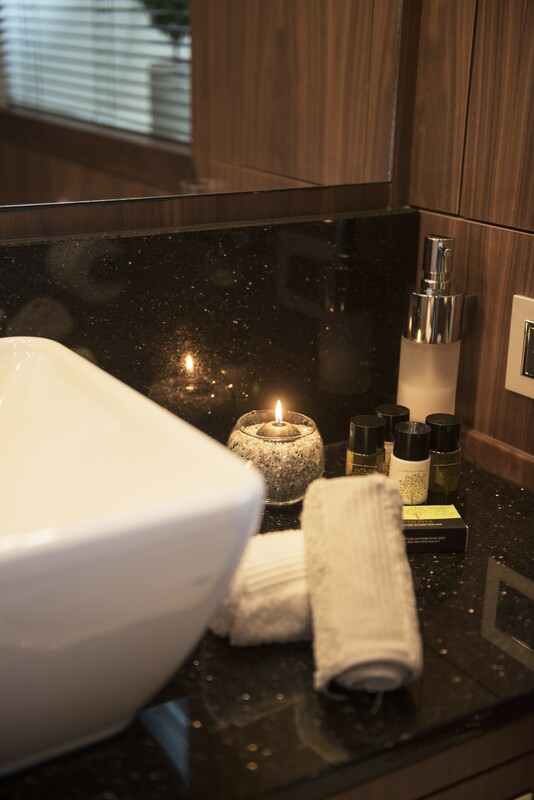 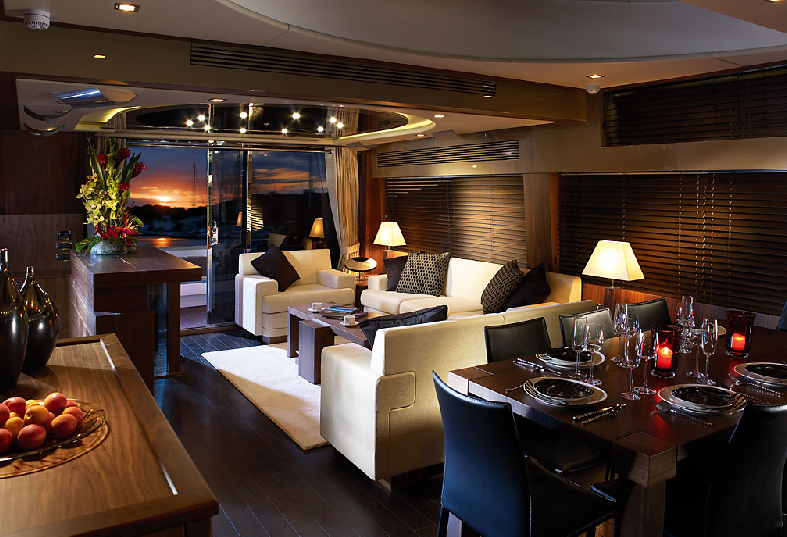 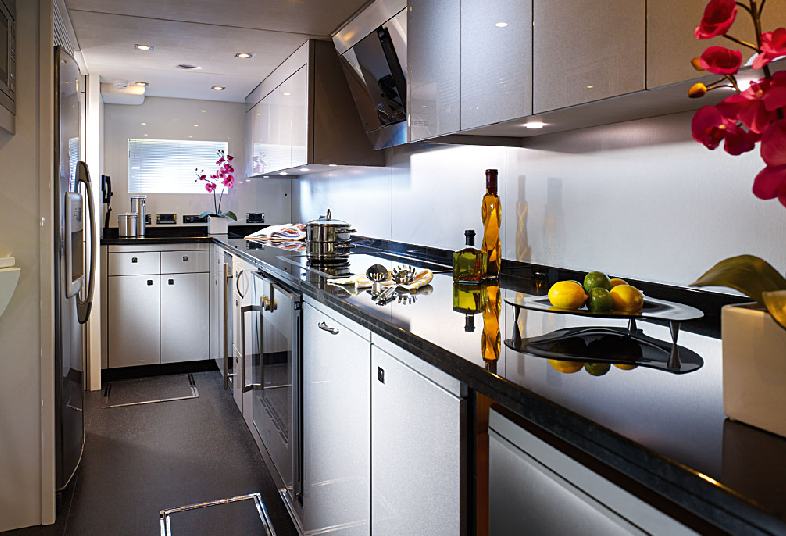 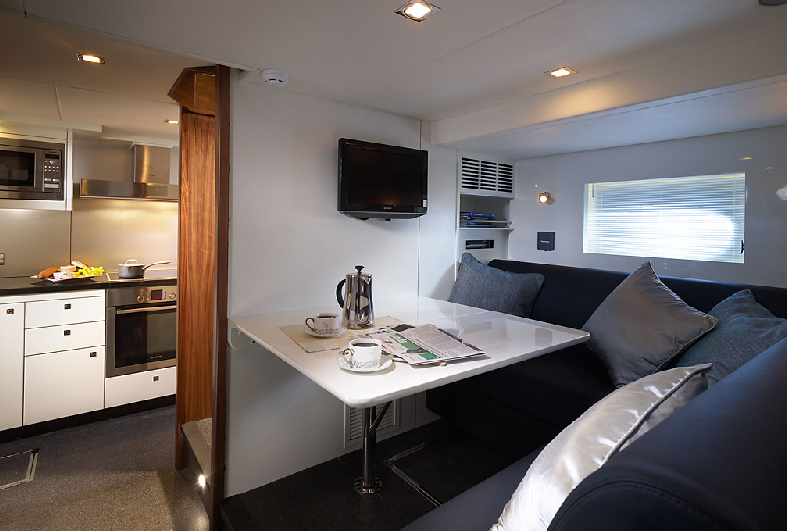 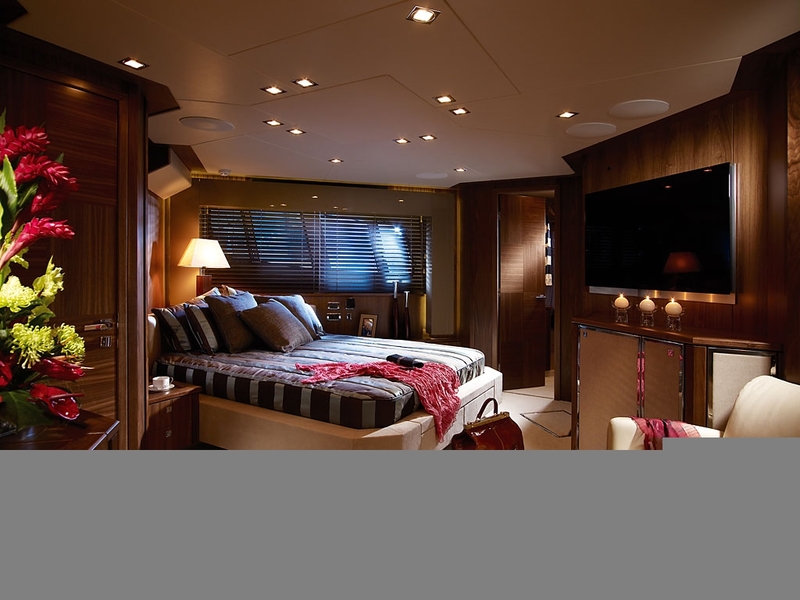 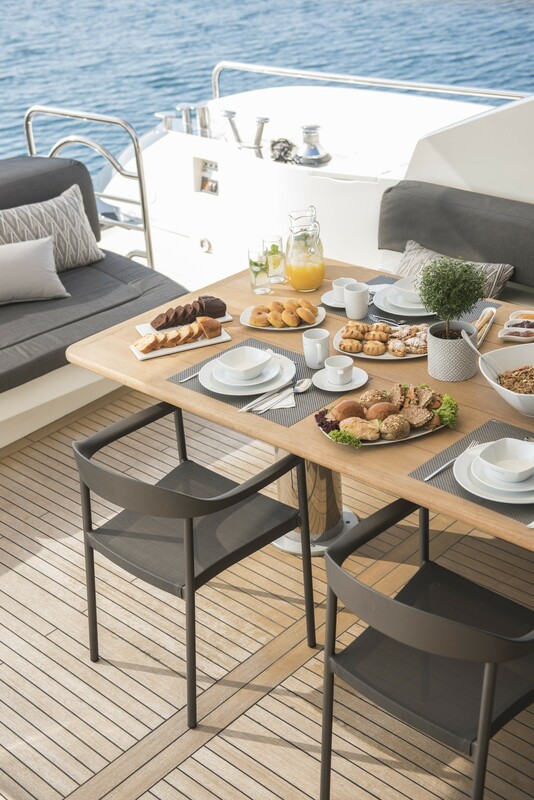 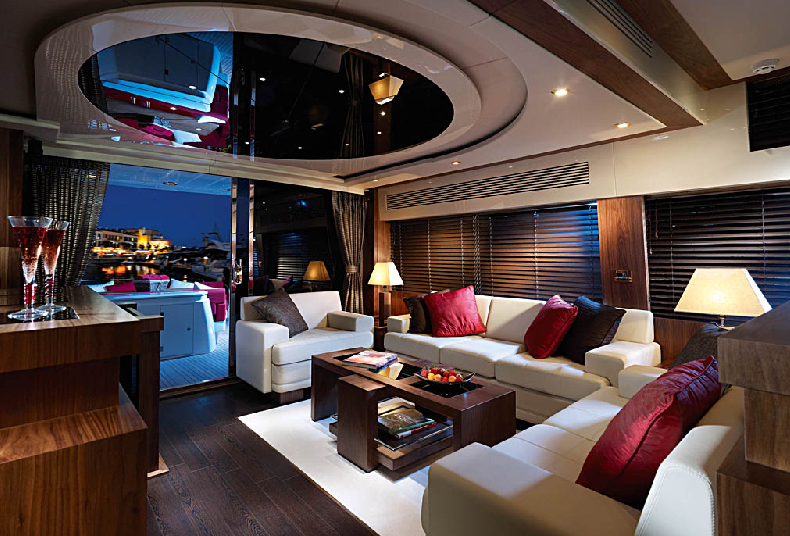 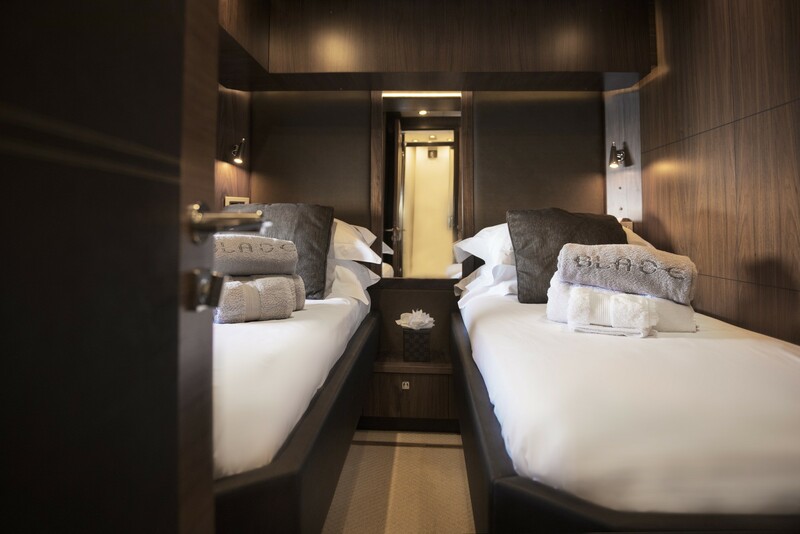 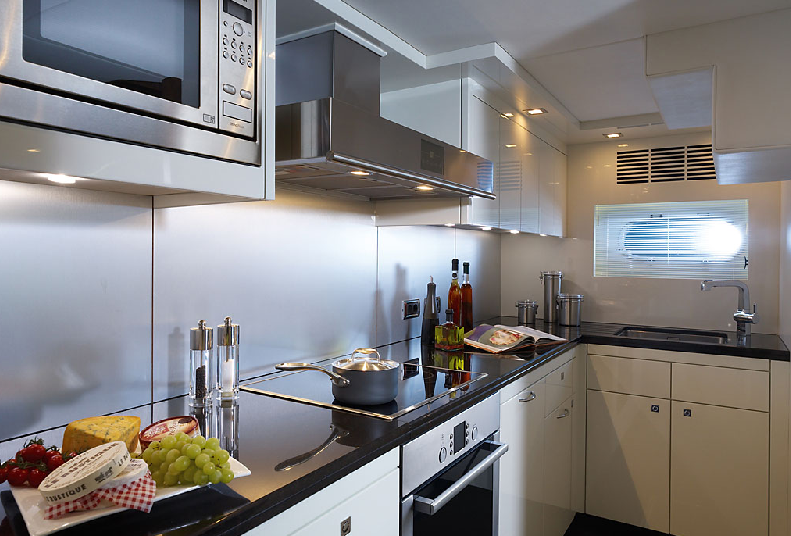 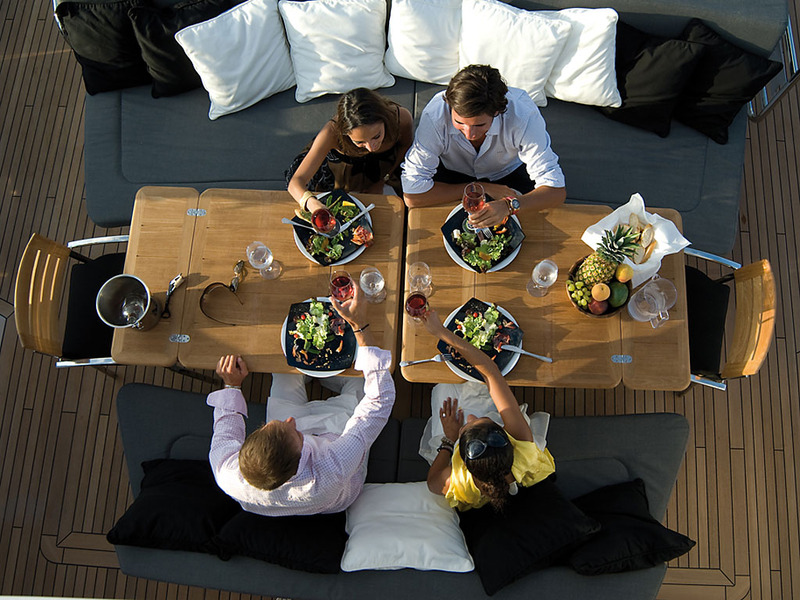 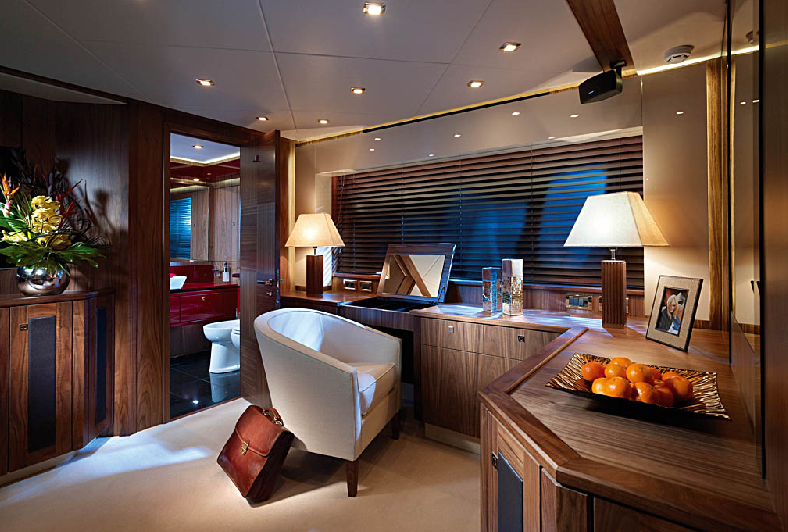 The Predator 92 Sport accommodates up to 8 guests in four luxury guest cabins, all with their own en-suite bathroom. 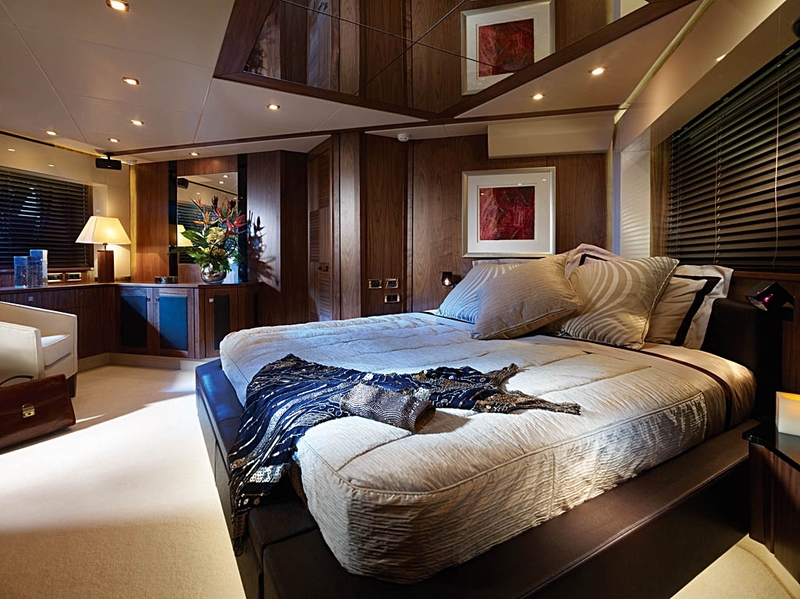 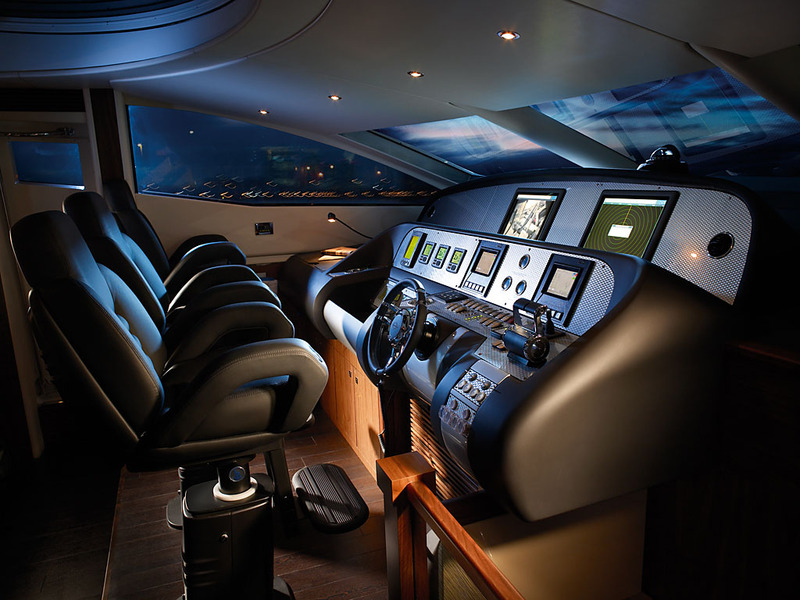 Principal features of the Sunseeker Predator 92 Sport Motor Yacht include a foredeck with seating and sunbathing area, mini flybridge area with helm position, garage for optional tender and jet-bike, fixed bathing platform, hot and cold swim shower and a wet-bar with ice maker, cool chest, sink and ceramic griddle amongst other features. 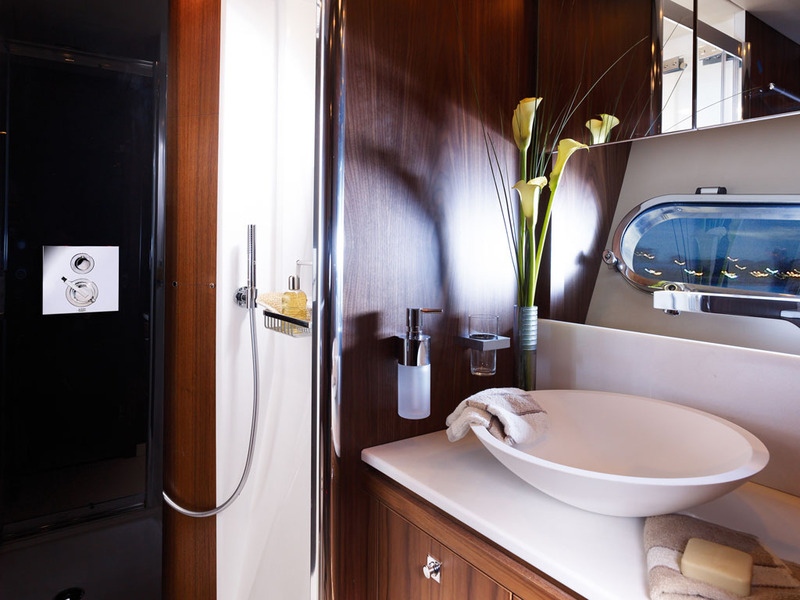 The Predator 92 Sport accommodates up to 8 guests in four luxury guest cabins, all with their own en-suite bathroom. 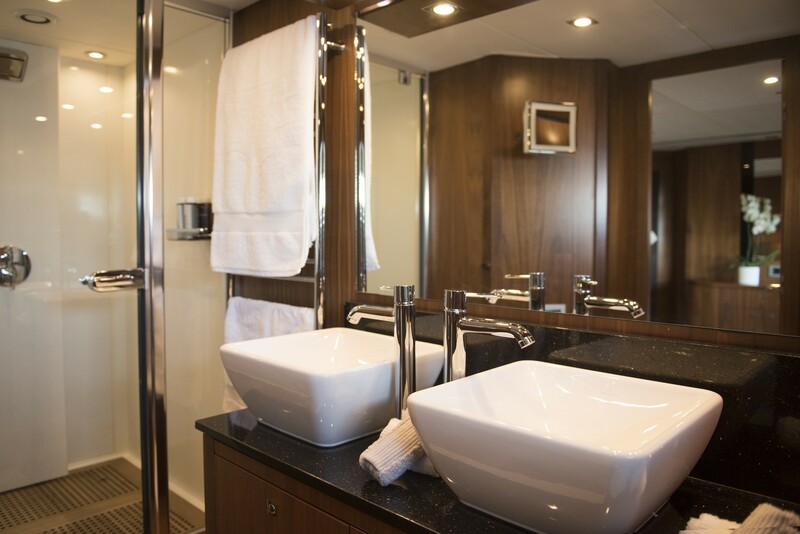 There is a full screen TV in all guest cabins and crew mess, surround-sound system for deck saloon and aft master stateroom. 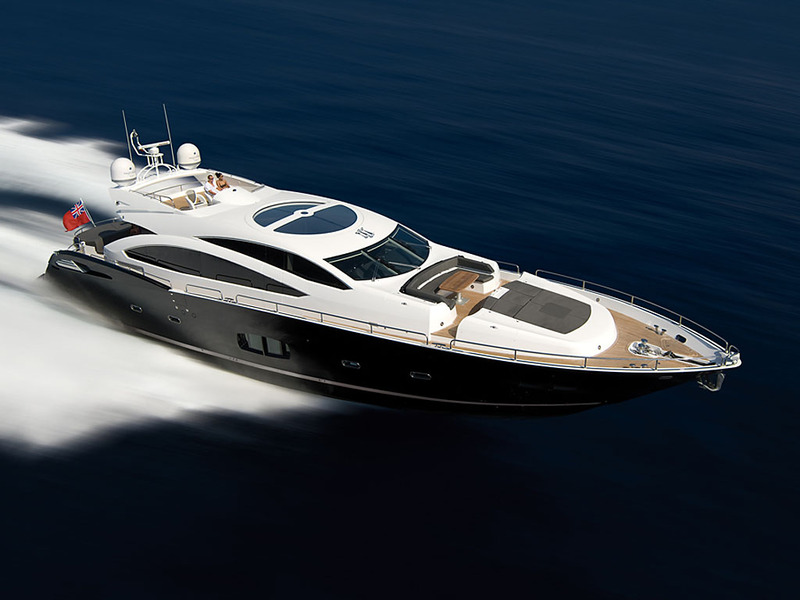 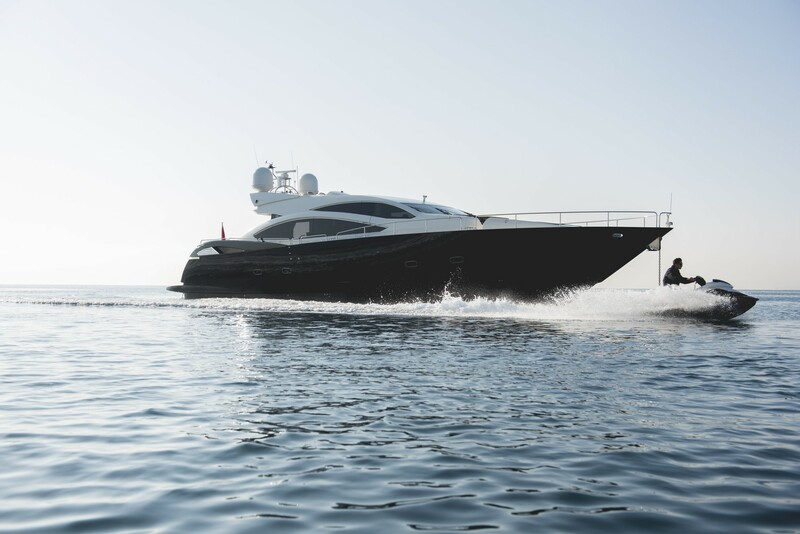 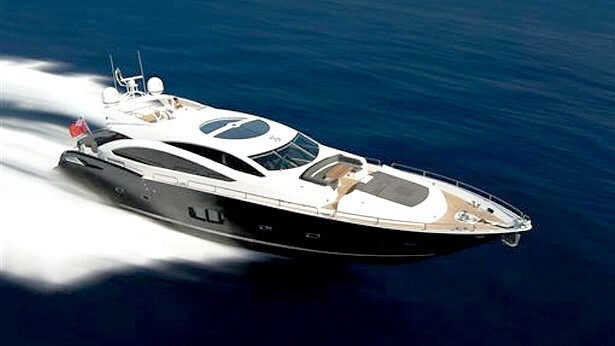 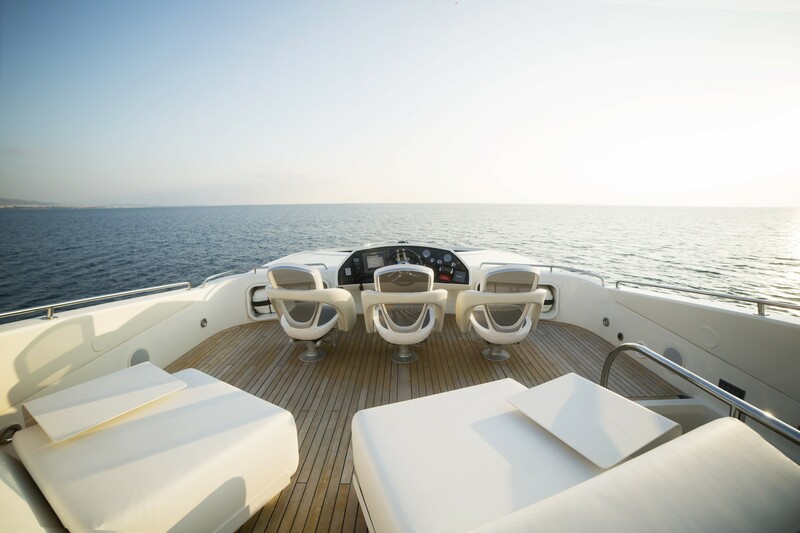 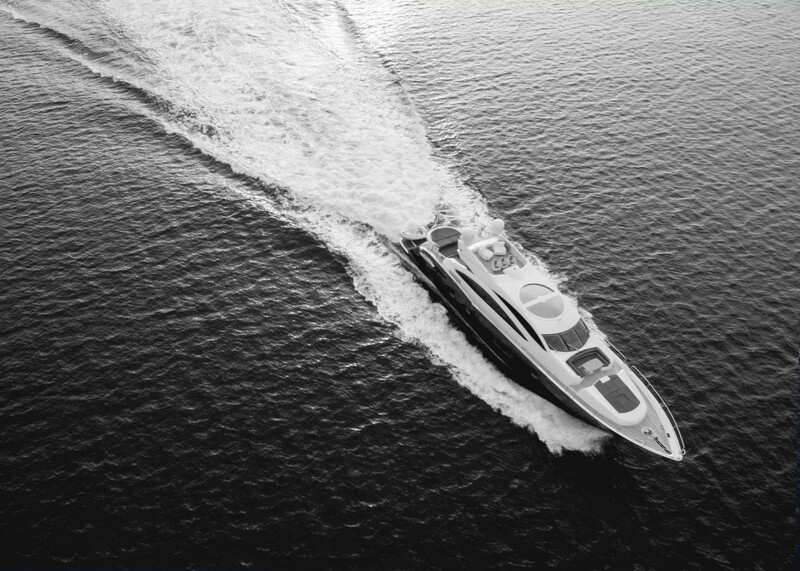 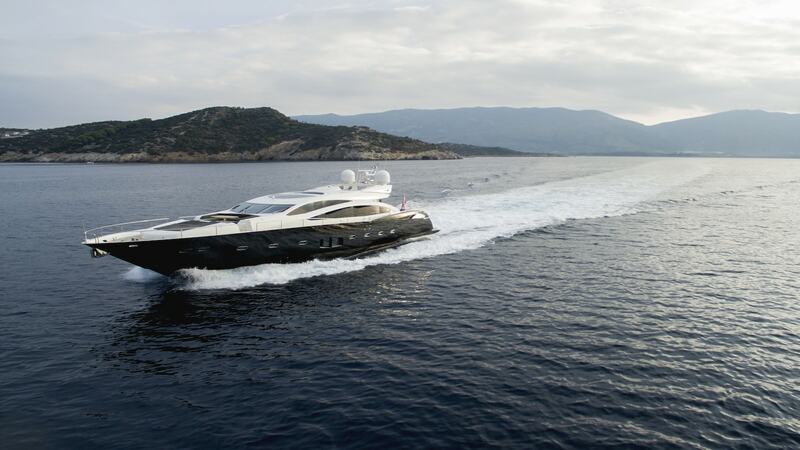 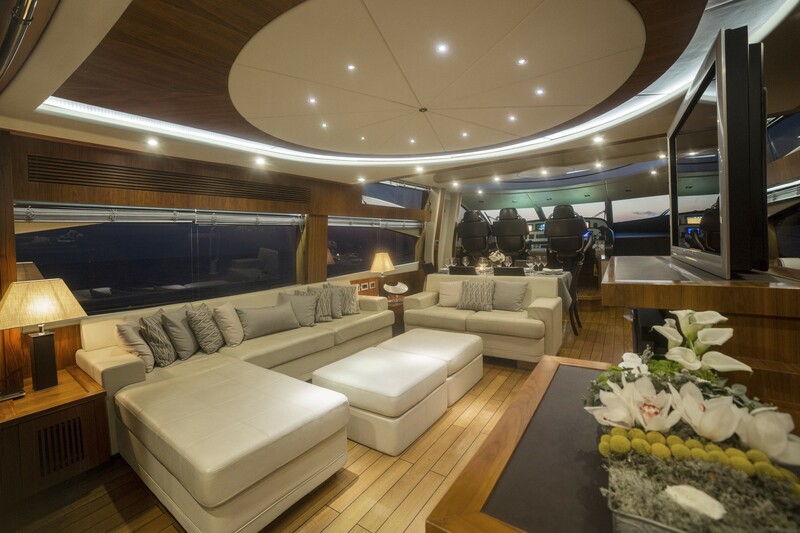 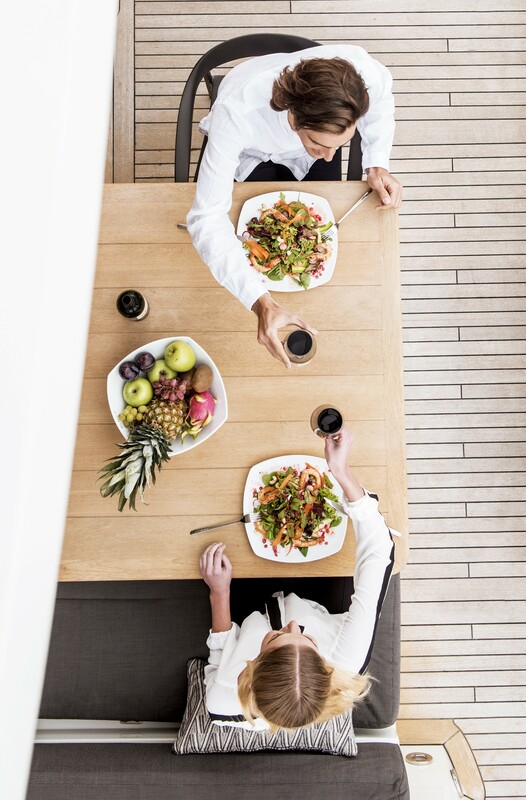 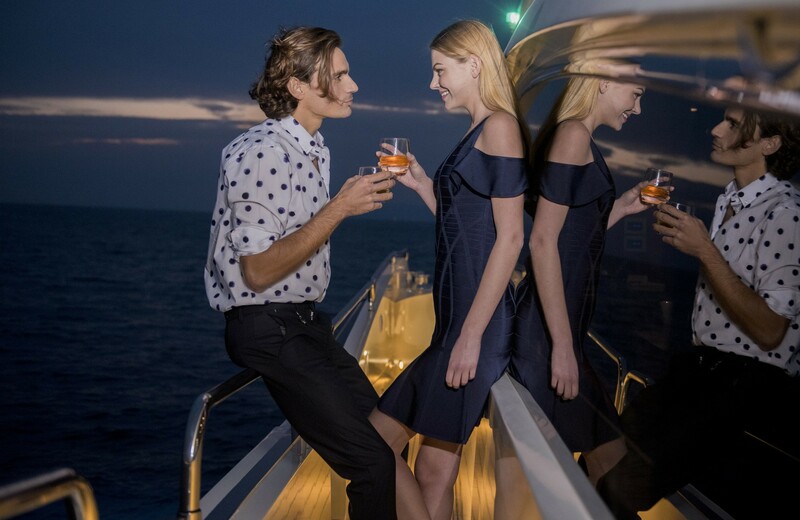 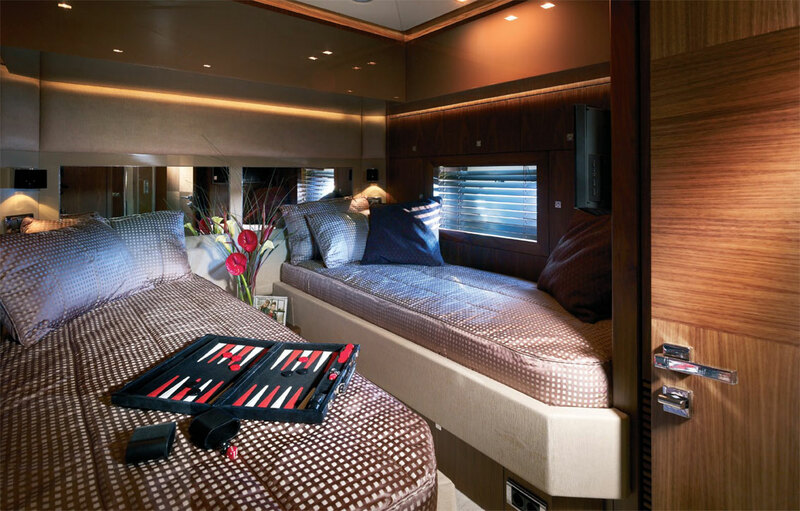 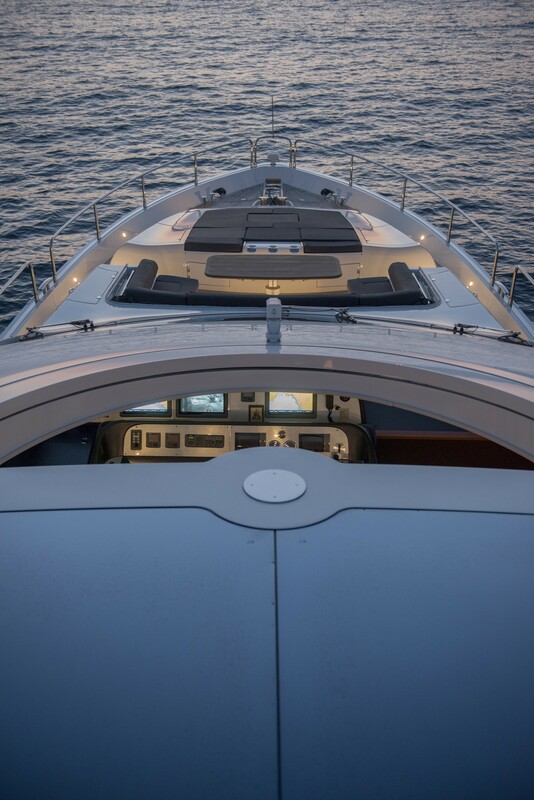 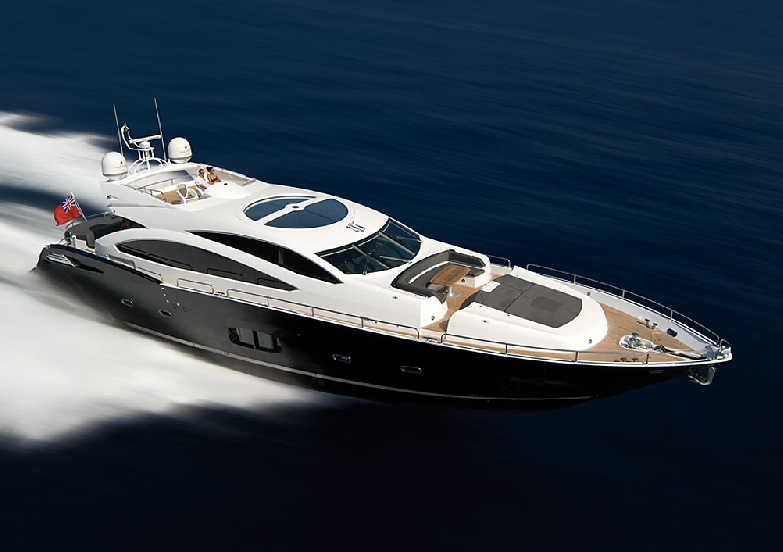 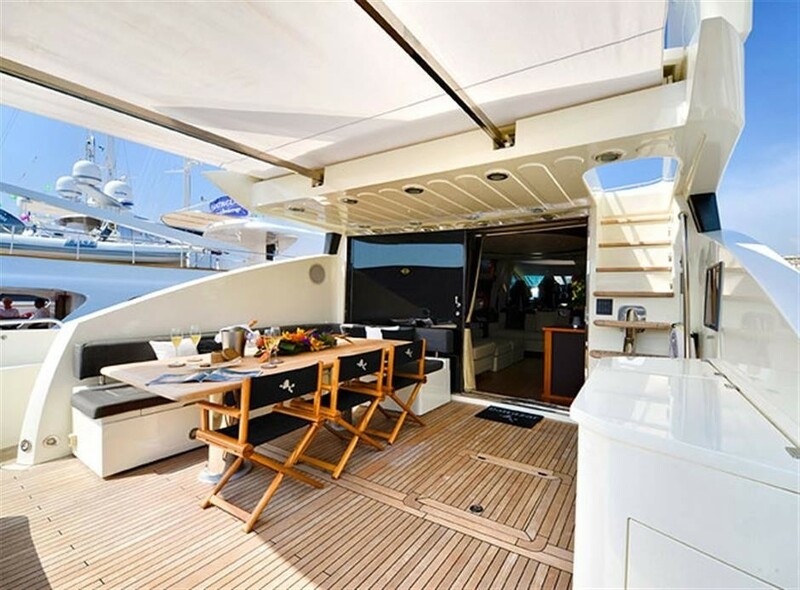 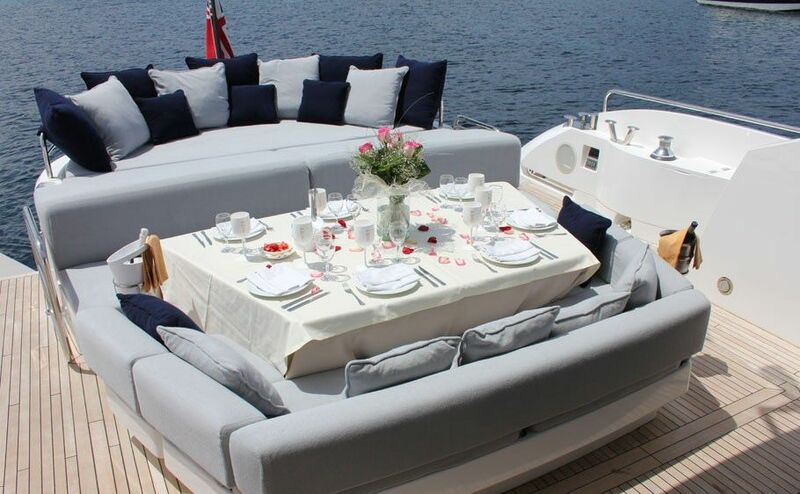 Please contact CharterWorld for a full list of the luxury yacht charter amenities that the Sunseeker Predator 92 Sport Motor Yacht has onboard.